I am posting a couple of my latest paintings tonight. This is a large painting, 40" x 30" oil on canvas. Large paintings take longer and this one took about 3 separate sittings. 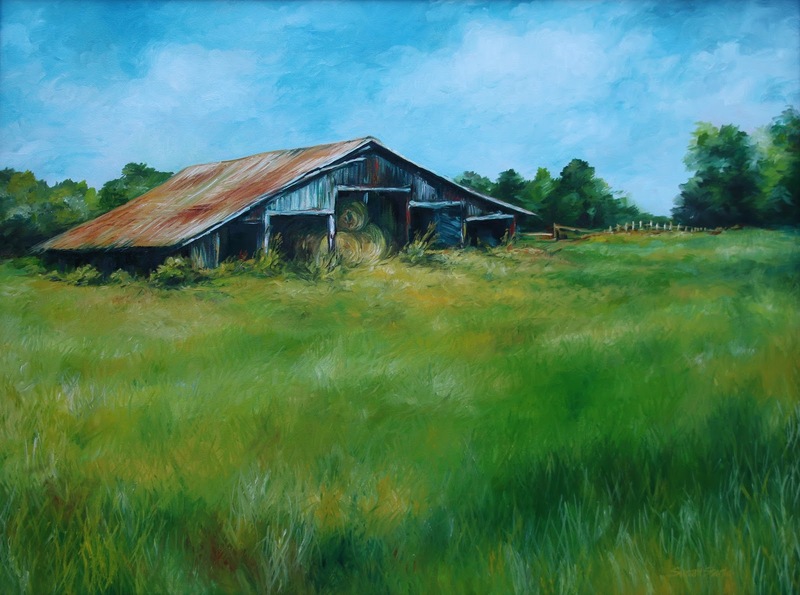 This painting is of my family's barn.